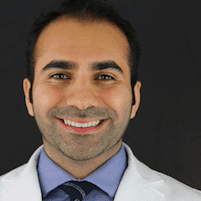 Dr. Homam Saleh, DDS and the staff at the World Trade Center Dental Group specialize in many different cosmetic and dental procedures, including porcelain veneers and root canals. The doctor provides oral healthcare to residents of the Financial District in Downtown Manhattan, New York City, New York, 10004 and surrounding areas. Veneers are small porcelain covers that are placed over existing teeth to improve their appearance. Small or misshapen teeth that have an unusual or non-conforming look can cause a person's smile to look off balance. Creating veneers that add both shape, dimension and structure to the teeth is just one way of helping a person have a more normal smile. Teeth that have been chipped, cracked or broken can also be fit with porcelain veneers in an attempt to improve their looks. As a person ages, their teeth may become extremely discolored due to the use of certain medications and tobacco products. Veneers can cover severely stained teeth that can’t be whitened by the professional whitening systems, allowing a person to have a more naturally white smile. 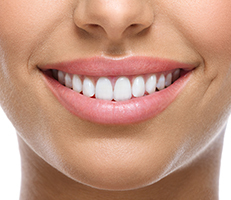 Porcelain veneers are designed to mainly provide cosmetic improvements to a patient's smile. They are extremely thin and do not provide firm, structural support. A veneer can be made in any size to help create a more balanced smile. For people who have smaller than normal teeth or teeth that are oddly shaped, veneers can be used to create a smile where all of the teeth are the same relative size and shape. Porcelain veneers can be made to match the existing color of other teeth, covering severe stains and spots that may have been caused by smoking, the consumption of coffee or tea, or the use of certain medications. Porcelain veneers are extremely thin, but they are durable if cared for correctly. Veneers can last anywhere from five to 15 years depending on how well they were applied to the surface of the existing teeth. Veneers can be designed to last for longer periods of time if the right materials are used. The more tooth surface that is present when applying the veneer, the stronger the bond will be. Because a veneer is sometimes made larger than the existing surface of the tooth, the bonding agents used must be sturdy enough to hold it in place through many years of use.